From its origin as a luxury property developer, Fairway Holdings has evolved over the past decade into a conglomerate engaged in a wide range of commercial activities. However we are very conscious of the importance of the arts and culture to our country as a civilizing influence it sorely needs. Accordingly we have made several significant initiatives in this regard. Chief among them is our title sponsorship since 2015 of the world acclaimed “Fairway Galle Literary Festival”. The “Fairway National Literary Awards” inaugurated in 2015, is a companion piece to the Fairway Galle Literary Festival. We are also the sponsors of the Chamber Music Society of Colombo and Soul Sounds. The Fairway Galle Literary Festival is one of the most highly anticipated literary events since it provides literary enthusiasts with the opportunity to meet, converse and interact with internationally acclaimed authors from all over the world. The beauty and alluring charm of the heritage city of Galle contribute in no small way to the uniqueness of this experience. 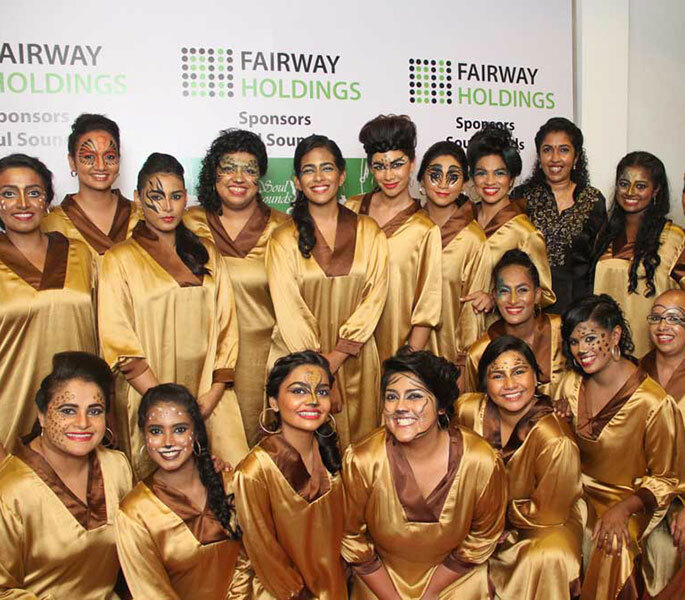 As a socially responsible corporate committed to the development of the arts and culture in Sri Lanka, it is with great pleasure that Fairway Holdings assumed the role of title sponsor in 2015, in order to support this Festival that has brought fame and prestige to Sri Lanka. This year too, the Fairway Galle Literary Festival was an immense success and all those who attended were able to bask in the sunshine of literary excellence for a few memorable days. The Fairway National Literary Awards originated as a companion piece to the internationally acclaimed Fairway Galle Literary Festival in 2015, the same year Fairway Holdings became the title sponsor of the Fairway Galle Literary Festival. Since then, with the number of submissions continuously increasing each year, the Awards have grown in terms of both recognition and prestige. FNLA 2018 was held as an independent event for the first time in Colombo. The Fairway National Literary Awards reward novelists in all three languages: Sinhala, Tamil, and English. The main objective of this Award is to encourage and inspire upcoming local authors by creating a platform on which they can achieve islandwide recognition and thus promote the arts and culture of our country as well. This Award also promotes the publishers of the winning entries by giving them podium recognition. In 2018, the Fairway English Creative Writing Workshop was held for the third consecutive year and the positive feedback of both the participants and the distinguished resource panel left us in no doubt of the success of this initiative. We have been the principal sponsor of the Chamber Music Society of Colombo for four years. The Ensemble of the Chamber Music Society of Colombo is the regions newest platform for exciting and extravagant new interpretations of the classics, and most importantly, a champion for the politically and culturally explosive music of modern Sri Lanka and South Asia. With our on going commitment towards the arts and the artistic community, we wish to make this sponsorship another contribution to support, uplift and make known the creative excellence and exceptional performance of our nations talent. Soul Sounds,ranked among some of the most renowned choirs in the world, is a premier female ensemble, directed by well known pianist and musician, Soundarie David Rodrigo.The choir first came into prominence as the Holy Family Convent Bambalapitiya school Senior choir, when directed by Soundarie David, it won a Sri Lanka Carol Competition in 1996. After they participated in the Llangollen Eistedfodd competition in Wales 2004, and subsequently leaving the school, the choir decided to continue singing with a new and independent identity, Soul Sounds. We have partnered with Soul Sounds for nearly four years. In conclusion, all these art related sponsorships are long-term commitments and have become important fixtures in our corporate calendar. We pursue these activities with the same passion with which we run our business.